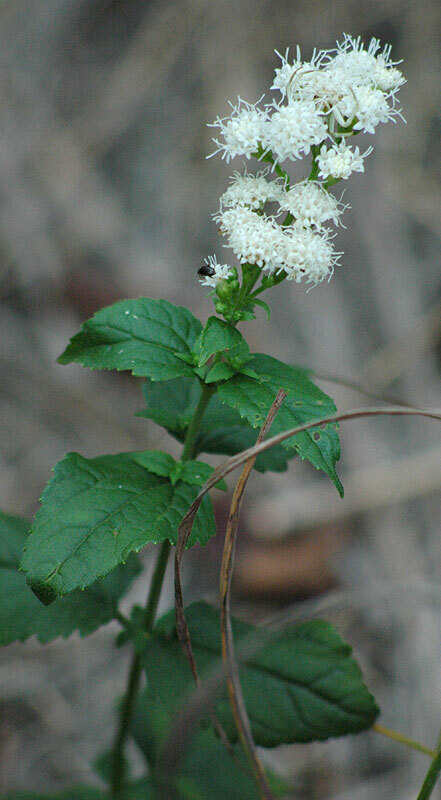 Ageratina aromatica_2 plant. David G. Smith. Delaware Wildflowers. delawarewildflowers.org (Accessed 7/2017). Ageratina aromaticum is a perennial herb to 80 cm tall, much like A. rugosum, leaves smaller, thicker. 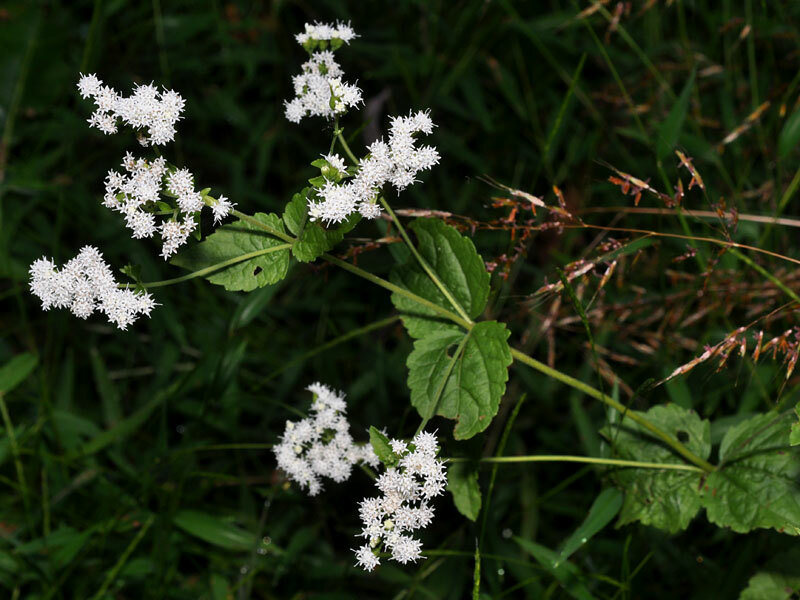 Leaves opposite, very short-stalked, blade 3-7 cm long, 2-5 cm wide, thick, firm, tip blunt to pointed, margin blunt-toothed (crenate). Ageratina aromatica.David G. Smith. Delaware Wildflowers. delawarewildflowers.org (Accessed /2017). Flowers white, 10-19 per head, no rays, basal bracts blunt to pointed; blooms Aug-Oct.
Fruit dry, small, 1-seeded, 5-angled plumed achene.